Vazhaithandu is very good for health because it is full of fibre.Banana stem is known as Vazhaithandu in south India,has a lot of health benefits and having it regularly helps one prevent kidney stones,lower blood pressure and improve immunity. 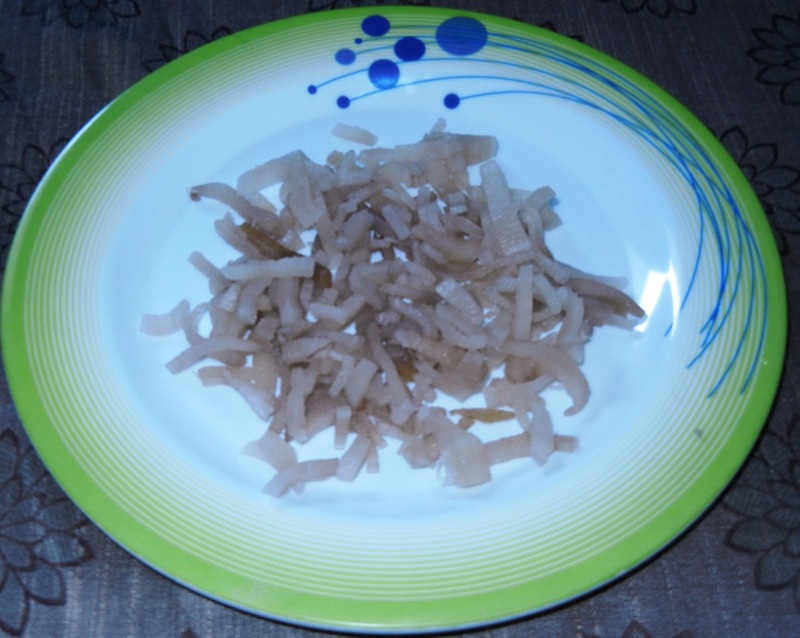 It is fibre rich and gives a feeling of fullness helping one in weight loss.We can make Soup,Koottu,stir fry or poriyal and Thayir Pachadi.Here I want to give a simple and easy recipe, how to prepare Vazhaithandu as salad. 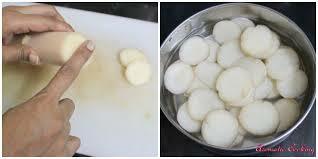 Take Vazhaithandu cut in to round slices it helps to remove excess fibre. Then chop Round cut Vazhaithandu, onion,Curry leaves and Green chillies as small as you can. Now add Salt and lemon juice mix well and serve . This will be tasty and healthy can eat regularly. Curd also can be added in the place of lemon and seasoned with mustard and hing.